Please note that these ear hooks are sold alone, without any gems or dangling components. 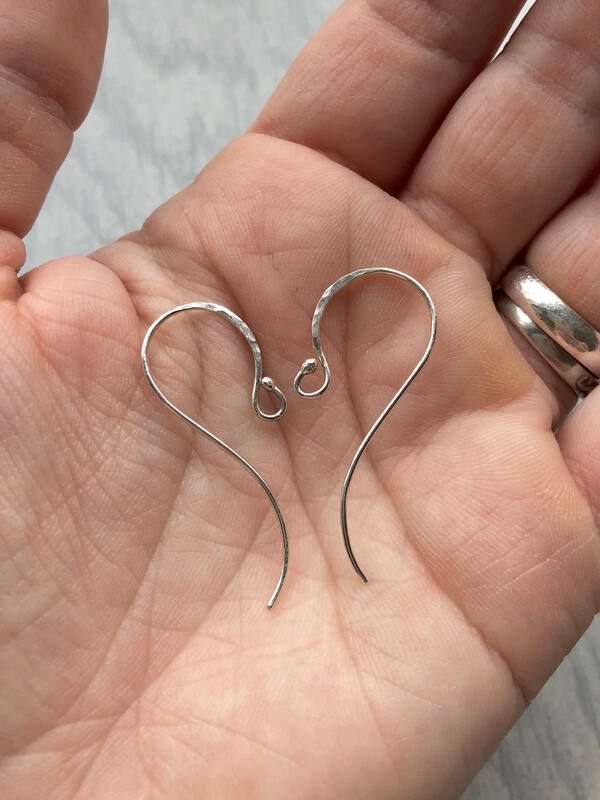 This listing is for one pair of handmade sterling silver ear hooks. 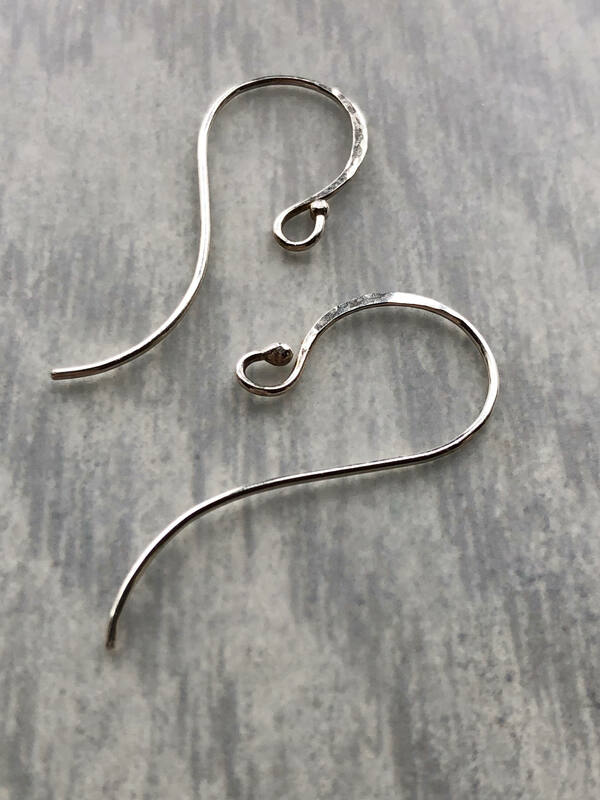 Each pair has been cut from 20 gauge argentium sterling silver wire, balled up on one end, then shaped and hammered into my large signature ear hook style. 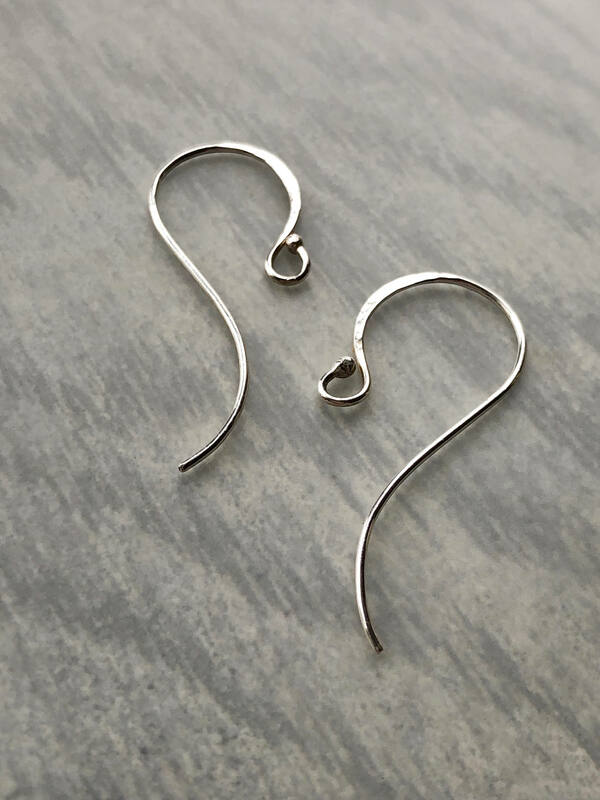 These ear hooks are meant to replace smaller, less secure, less stylish ear hooks on a pair of earrings you already own. To make the switch, take a pair of pliers and open the ball-end by bending it to the side, not pulling it apart. (This keeps the diameter of the loop the same so that there will be no gap when it is closed again.) 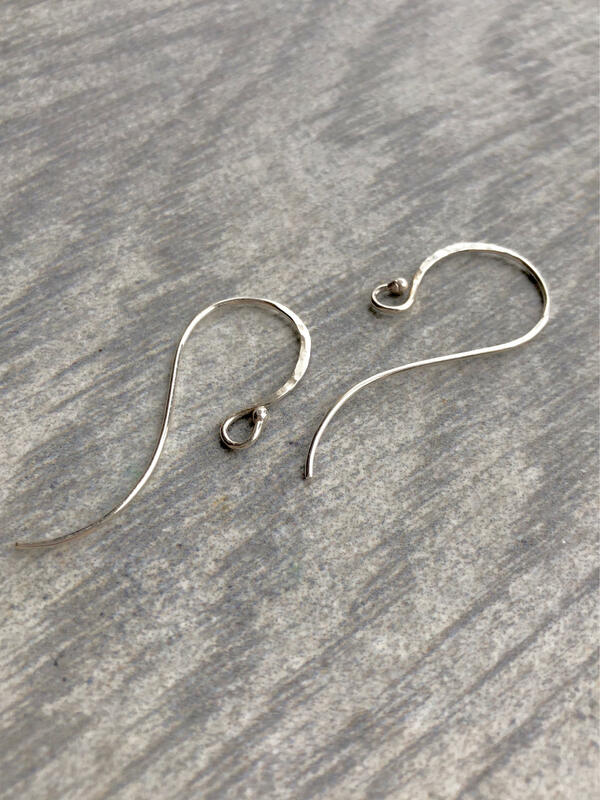 Hook your earrings into the ear hooks, and close by bending back to the original position. • The end that slides through your ear has been carefully sanded to round and remove any rough edges. • The curved ends are extra-long, adding both style and security. 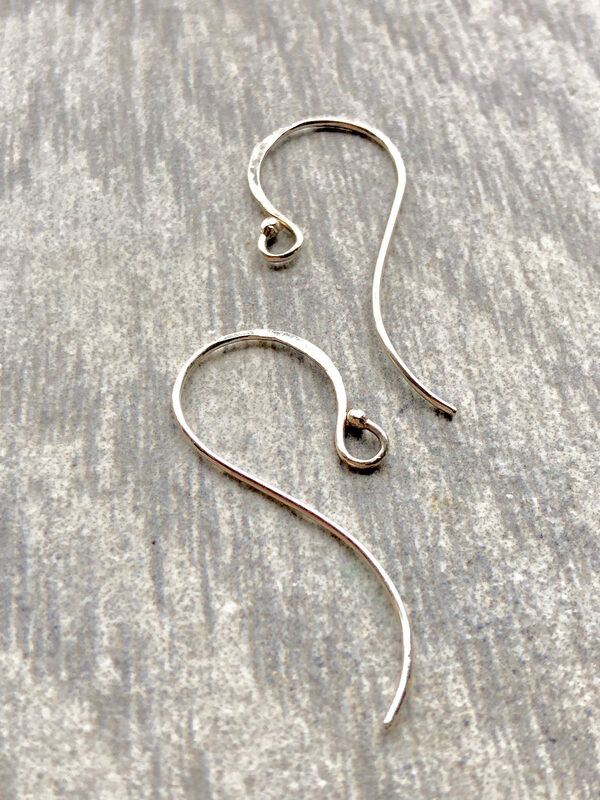 • The loop is round and wide, so that swinging movement can occur without the earring’s center of balance changing. • The length will be between 1 1/8” long and 1 1/2” long. 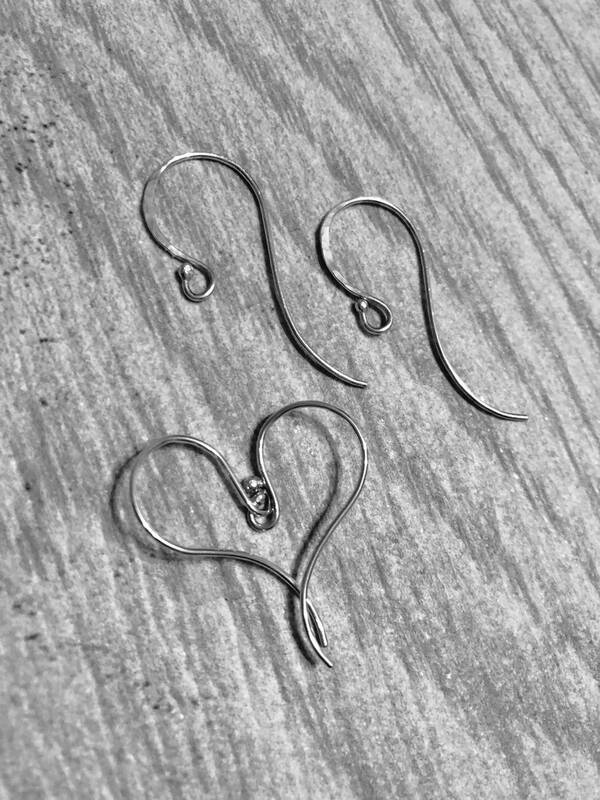 Please let me know if you have a preference for smaller or larger hooks. I make these freehand, so while the hooks in each pair match perfectly, the sizes of different pairs may fluctuate.